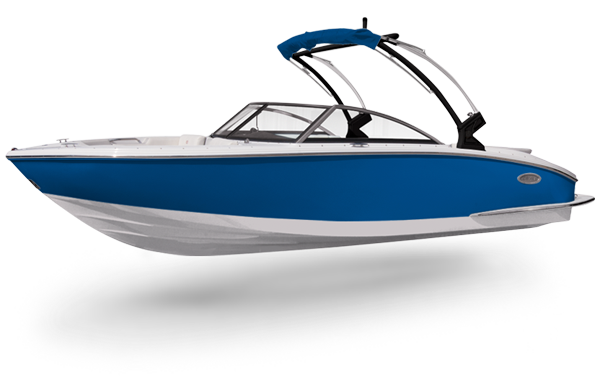 Exceptional wake surfing doesn’t come at a compromise to Cobalt’s softer, drier, faster ride. 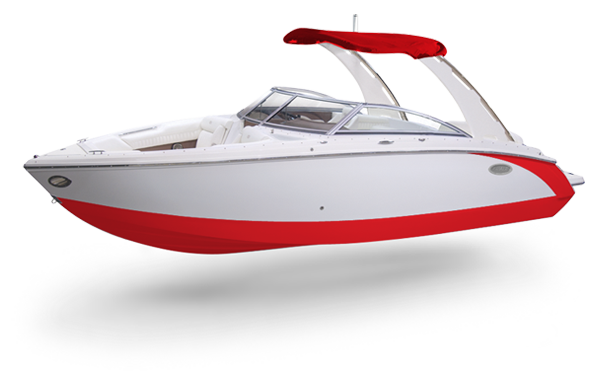 With the versatility of full-range power trim, all the control and efficient operation remains. 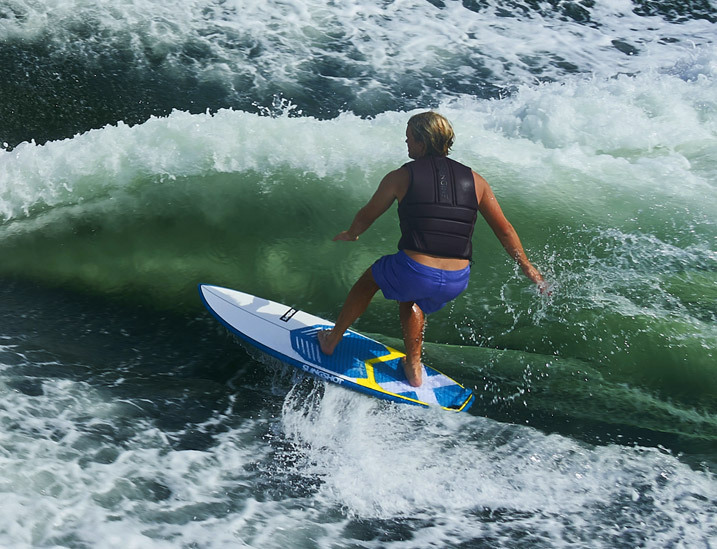 Drivers can easily go from a superior surf wave to wakeboarding to smooth cruising. The key here is simplicity. 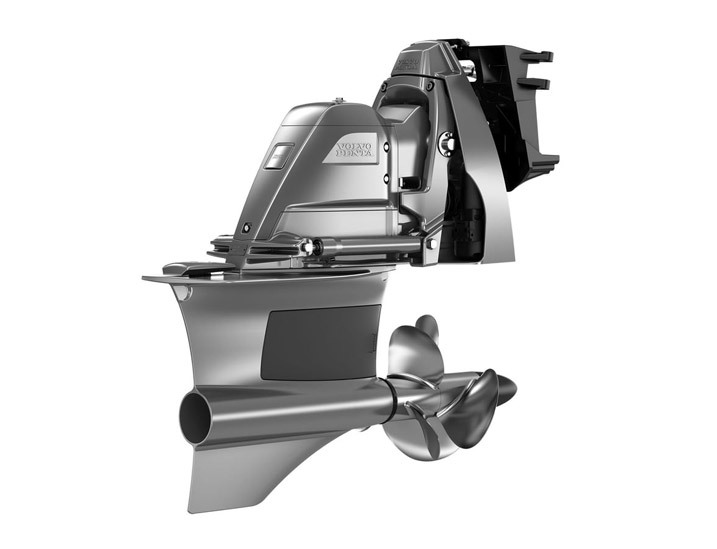 Plus, Volvo’s Forward Drive is uniquely engineered with forward-facing counter-rotating Duoprops, which position the propellers to the front of the drive unit, well under the boat for added safety. 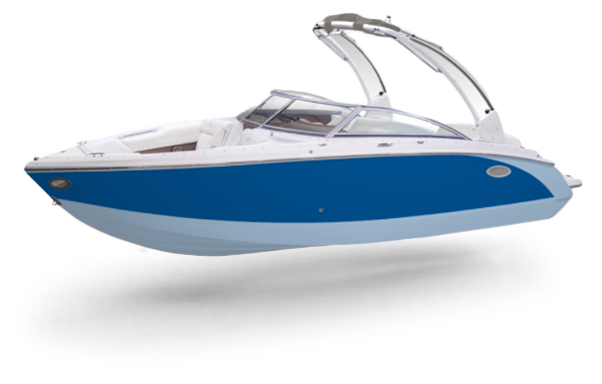 Cobalt’s TruWave technology begins with the Volvo Penta FWD drive, uniquely engineered with forward-facing Duoprops positioned well under the boat for added safety. 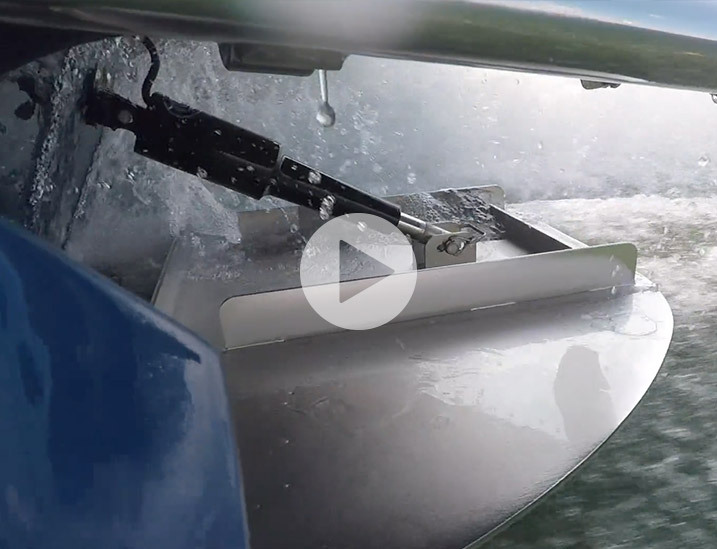 The counter-rotating props pull the boat through the water rather than pushing it, resulting in better bite, acceleration and speed in a more efficient, smooth way, increasing fuel economy. 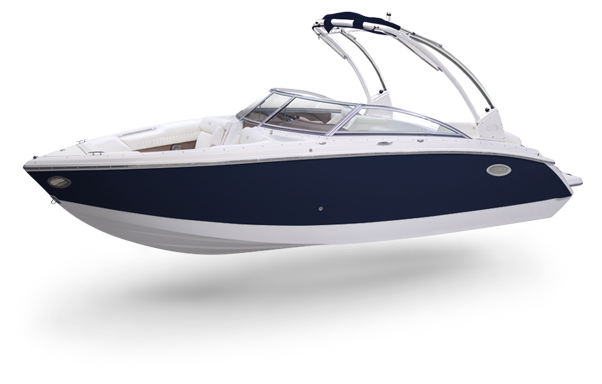 Because the Forward Drive is under the boat, there’s less noise and exhaust, meaning more comfort. Duoprop helps smooth the ride. 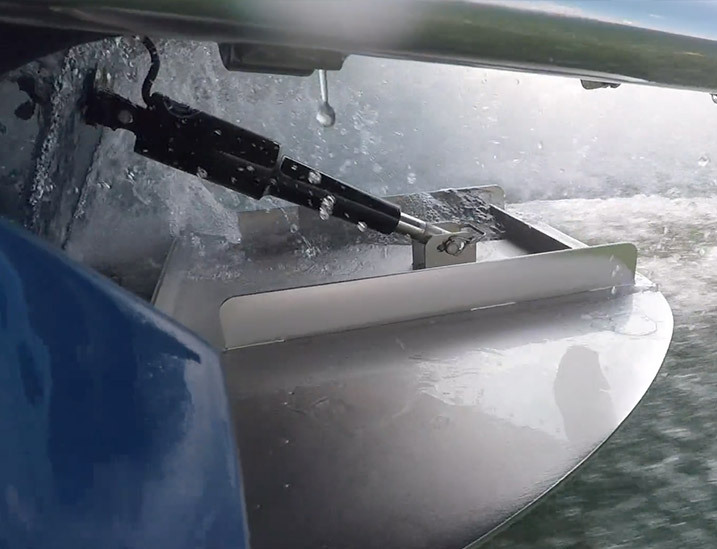 When deployed, the Cobalt-designed and -built surf tabs are computer-controlled, automatically adjusting to create a clean face and serious push on every wave. The core of the TruWave system is simplicity of operation. You’re only three easy steps away from a superior surfing wave. 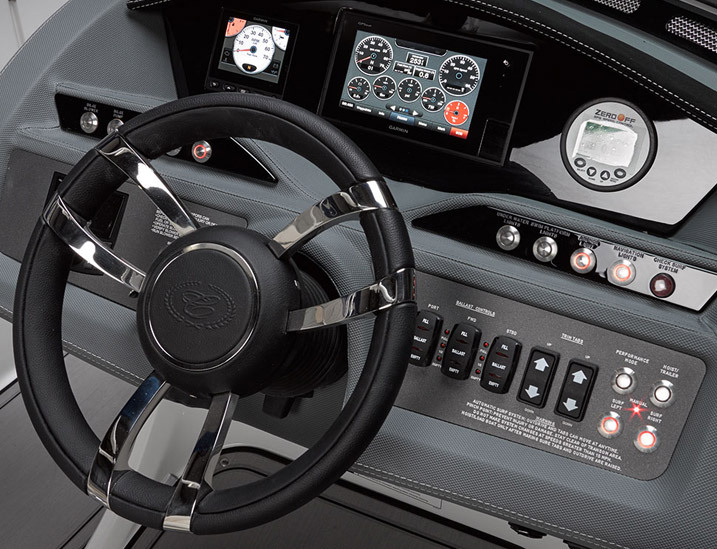 Fill the ballast tanks, set the speed control, and select surf left or right – that’s it, just throttle up and go. 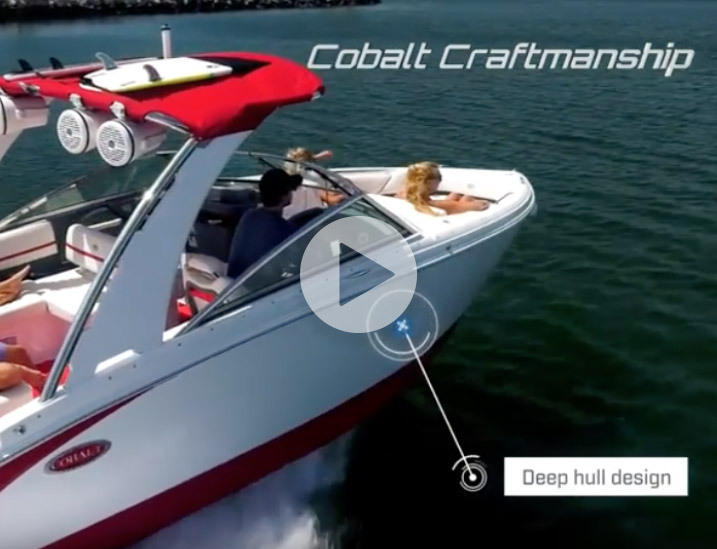 When it’s time to move to a different surfing location just select Cobalt’s proprietary Performance Mode, there’s no need to empty the ballast tanks to get the boat on plane and running at speed. Easily switch from surf left to surf right configuration at the the push of a button, while the computer controlled surf tabs automatically adjust creating a clean face and serious push on every wave. Fine tune your perfect surf wave with adjustments to the power trim for smooth transitions, wide push zones and nice pop.